Why is a bad GFCI outlet such a big deal? To put it simply, they exist to protect you from electrical shock. As required by electrical code, these outlets are in places within your house where there is an increased risk of electrocution. These include bathrooms, kitchens or outside (wherever water is likely to be present). GFCI outlets come with a sensor designed to identify changes in current, which can indicate unsafe conditions or the risk of shock. There’s a breaker inside the outlet, which trips when there is a surge in current. This shuts down the power supplied to the outlet and any connected outlets, protecting you from electrical shocks. GFCIs come with two buttons on them (usually black and red), with one serving to test the outlet and the other for resetting it after the breaker inside has tripped. A bad GFCI is a serious problem, as they are too important for you to ignore them for any amount of time. It is, therefore, crucial that you stay aware of when you might have an issue with one of yours. In the majority of cases, a GFCI outlet protects you by not providing power. If there is an issue with an appliance plugged into it, the power would likely cut off long before you even get the chance to use it. When this happens, it can be easy to assume there’s something wrong with the outlet itself. But in many cases, its breaker tripped for a good reason. GFCIs are also designed to shut themselves off in the event of a person getting shocked, which isn’t always easy for it to determine with much accuracy. In other words, your GFCI outlet breaker might trip when you’re not actually in any danger. The GFCI detects current that branches off from the intended circuit, even if the branches are small and harmless. This can include instances of a wire making contact with another component of the receptacle, which can be completely innocent. When the cause of a trip is a passing occurrence, you should be able to reset the outlet breaker with a simple push of the correct button. Outlets can get worn out and lose some of their effectiveness over time. This also applies to GFCIs. If your GFCI outlet is tripping much more frequently than it should, it could mean it’s nearing the end of its lifespan. This is due to GFCI outlets losing the ability to adjust to changes in current as effectively as they used to. The result is that trips begin occurring for reasons that were never a problem in the past. If your outlet breaker is tripping every time you use a hair dryer, and it never did that before, it’s a sure sign you have a bad GFCI outlet. If this becomes the case, it’s important to get it replaced as soon as possible! These outlets are too crucial a safety measure for you to delay on getting a new, functional one. Like with all electrical work, there is a certain level of danger involved if you’re seeking to replace a bad GFCI outlet on your own. Mishandling wires can lead to electric shock — or worse — and you’d also be running the risk of making a critical error that wouldn’t have escaped the notice of a qualified professional. In addition to the possibility of serious shock, you might also face the unintended consequence of wiring the outlet incorrectly, leading to the serious risk of fire or damage to your electrical system. Making a mistake with electrical work is a recipe for disaster, but this is particularly true when it comes to a bad GFCI outlet. They’re supposed to keep you and your loved ones safe from electrical shocks and fires. 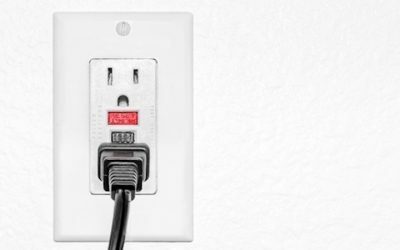 Experts should always handle the installation of new GFCI outlets and repair of a bad GFCI outlet, so you can go back to using them without needing to worry about whether they are working properly. If you’ve discovered you have a bad GFCI outlet, or if you want to replace some older ones before wear and tear strip them of their effectiveness, your next course of action is to get the right provider for the job. At Bryan Electric, Inc., we have years of experience with all manners of electrical work. Give us a call at (770) 680-2144 today, and we’ll discuss your options. We’re also more than happy to answer any questions you have!